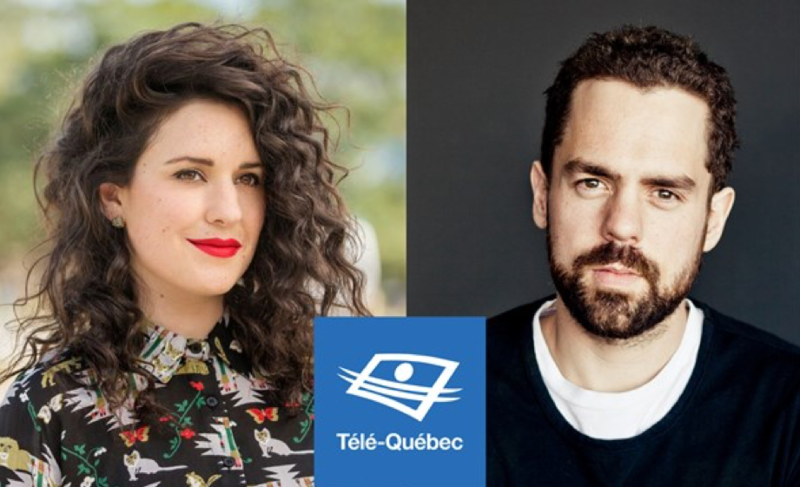 Starting this fall, Virginie Fortin and Guillaume Girard will host a brand new program on Télé-Québec, L’heure est grave. Three times a week, they will offer a daring variety show that will be freely inspired by current events to tackle trends, deal with the phenomena behind the news and analyse social issues through art and culture. Virginie Fortin and Guillaume Girard will invite viewers and Internet users to a unique formula imagined by Toast Studio. With a new generation of more than a dozen regular or special collaborators, Télé-Québec innovates by taking inspiration from current events in a different way. Whether they are humorists, dancers, storytellers, techno enthusiasts, lyricists, or others, these collaborators will bring numerous points of view… but above all, surprise us! With them, L’heure est grave will most often be funny and playful, but can also be touching. Each week, Télé-Québec will offer two 30-minute rendez-vous that Virginie and Guillaume will host and co-host in turn. A third one-hour show will follow, bringing together the week’s best moments in a new montage packed with new features in which a guest public personality will deliver a surprising performance and tackle current events in his own way. L’heure est grave will be recorded in front of an audience, in a location where spectators can participate and react by walking freely around the stage. “With the new cultural platform hosted by Marc Labrèche, Cette année-là, and L’heure est grave, among others, Télé-Québec is increasingly taking its place in culture! said Denis Dubois, Executive Director of Programming at Télé-Québec. Through humour and art, Virginie and Guillaume will offer a new way for Quebecers to take an interest in subjects that deserve reflection and discussion. Thanks to its unique concept, L’heure est grave will allow us to see culture differently and will present a fantastic opportunity to assert even more strongly our role as a breeding ground for talent and a springboard for the next generation. The hour is of utmost importance (“L’heure est grave”), but the half-hour will be funny on Télé-Québec!